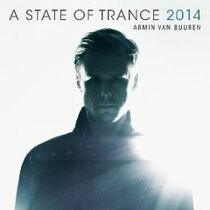 Out on the 28th of next month, ‘A State of Trance 2014’, mixed and compiled by Armin van Buuren should be another biggie. Within the course of six weeks, Armin will celebrate the 650th episode of the A State of Trance radio show with nine events in cities all across the globe. Next to that, Armin also hosts his ‘Armin Only – Intense’ world tour this year, with more than 20 dates in cities such as New York, Sydney, Johannesburg, Moscow and more. Next to touring the world, Armin also spends a great deal of time on the weekly A State of Trance radio show. Going strong for nearly 13 years, it was and still is one of the driving forces in his career. So is the award-winning ‘A State of Trance’ compilation series, which features a great deal of brand new tracks, exclusive productions and remixes, all mixed by Armin. Setting forth the ‘On The Beach’ and ‘In The Club’ themes, Armin features a collab with Andrew Rayel, a brand new Gaia and tracks by Aly & Fila, Andrew Bayer, Gareth Emery, Protoculture, MarLo, Inge Bergmann, Allen Watts, Alexander Popov and many more. A mixture of big tunes and new productions, you’ll likely find many of 2014’s trance essentials on these two mixes.